النوع: تسلية و لايف ستايل. 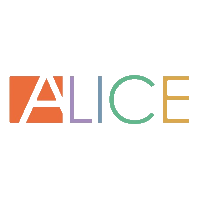 Alice TV is a thematic entertainment television channel, dedicated to the cooking. Alice TV represents the great chefs and rich culinary traditions of Italy. The channel offers a wide selection of recipes. Alice TV can be received in the all Europe, Middle East and North Africa region, through the HOTBIRD/Eutelsat 13.0°E satellite, and viewers can receive it for free.